Google Thewallinna and other creatures: Zaria skirt! Love pencil skirts! This fabric is particularly awesome. I saw the chiffon version on the weekend at a meet-up in Brisbane - it is really lovely, I liked it much more than the Named version. Gorgeous. Beautiful fabric and an amazing fit! Ah! Named Patterns are the best! 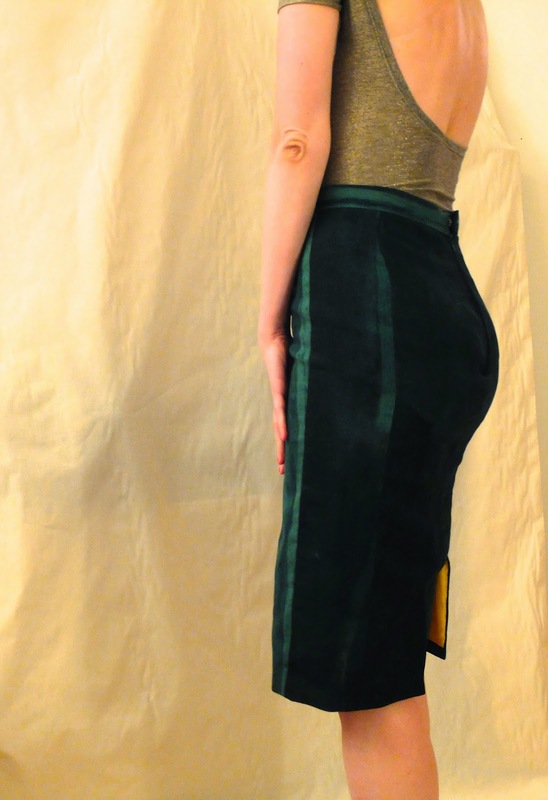 I really love the fabric you used for this skirt (that peek of yellow silk is fantastic!) and it looks like it fits you perfectly! 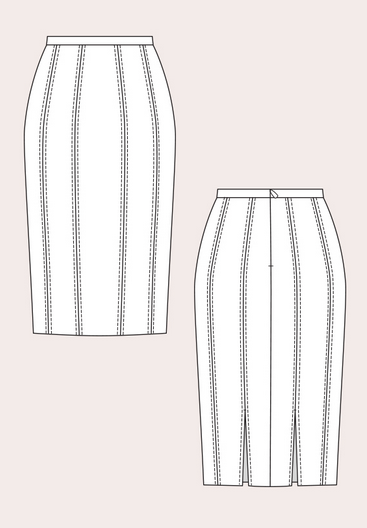 I've just finished tweaking a pencil skirt pattern too (Burda magazine instead though) and I totally agree that they are a perfect addition to any wardrobe. Beautiful! brilliant choice of fabric ... love the way the painterly print combines with the geometry of the panels. That peek of yellow is such a nice touch. Oooh, what a lovely creation! I thought it was velvet from looking at the first photo - and then smiled when I clicked the link and saw it was described as velvet look :) Either way, it's a spectacular fabric and I adore the little peep of yellow :) I just bought my first nani iro fabric the other day (still waiting for it to arrive). The fit and cut of the skirt on you is divine - love it. I love this! So surprisingly not velvet!!! This is gorgeous, Inna! The fit is fantastic and that fabric looks so lush. Gotta love a perfect pencil skirt! Gorgeous, Inna! It really does look a bit like velvet. I'm not a pencil skirt wearer because it just doesn't fit with my daily activities. Love it on you though. Gorgeous! Great pairing with the fabric, it makes it very special. I've made pencil skirts but never really wore them, I find the m too restricting. A Dutch girl has got to be able to ride her bike! I wonder what made you go with this pattern. When I looked at it I just saw a lot of unnecessary seams. The chiffon overlay could be fun though. I'd wear it with a top and a cropped cardigan or a short jeans jacket. Wow, in the line drawing I was just seeing the panels as an opportunity for a double vent but clearly they are primarily about fit. I love the hip shape in Named, very eager to try this one now, even though it didn't make my initial list. Lovely fabric and color. The fabric is so perfect for the skirt and the fit looks spot on. I can't believe that it has so many panels, that has turned me off a bit, but you've made them work beautifully to create a spot on fit. Aaah de Gilles. You really need to buy it!